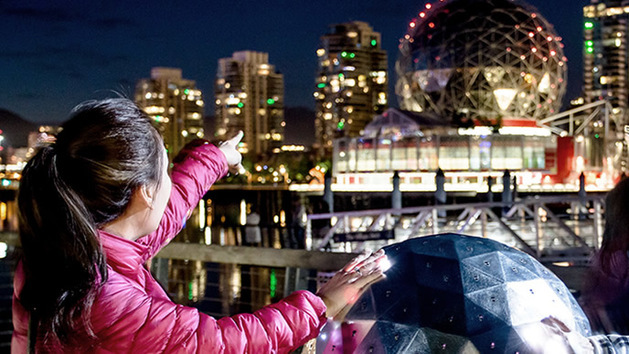 This August, a free interactive public art installation on False Creek seawall will allow general public to take control of the nighttime lights on Science World! 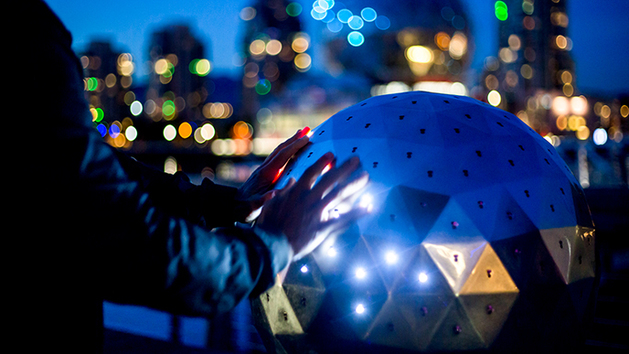 "When you touch the small interactive model, you are really touching the whole city," said Alex Beim, Founder of Tangible Interaction, the local company that created this amazing installation called "OH! ".